What better way to celebrate the start of the summer than visiting Chelsea in Bloom, Chelsea’s alternative floral art show. Now in its sixth year, Chelsea in Bloom sees the streets of Chelsea filled with blossoms from 23rd -29th of May. The annual competition heats up year on year as local retailers compete for the coveted floral crown with a display of breathtaking floral displays. 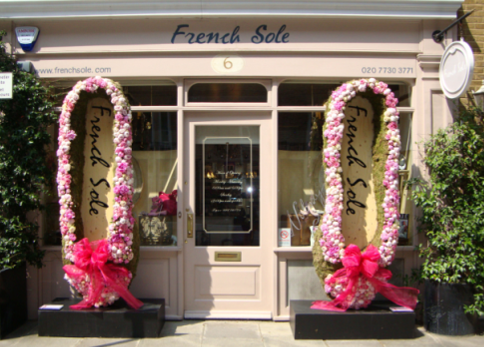 Taking place across Chelsea (Sloane Square, Duke of York Square and its surrounding environs) this week long event is the ultimate alternative flower show. This year’s Chelsea in Bloom theme is Oriental Chic, drawing on classic eastern influence and timeless style. With the area’s most acclaimed retailers attempting to outshine previous winners such as Cartier, Paule Ka, and Jo Malone, this floral art show is sure to be the most exciting and competitive yet. RHS judges will be looking for a mixture of floral flair and creativity to rival last year’s winners, whilst independent retailers will be competing to attain the Creative Recognition Award. Guaranteed to be a memorable experience as well as a relaxing day out, Chelsea in Bloom is the perfect excuse to experience the iconic Chelsea area.